So I am back from my whirlwind trip to Melbourne and find myself outside the Flat White Cafe in Woollahra on a rather chilly Saturday morning. 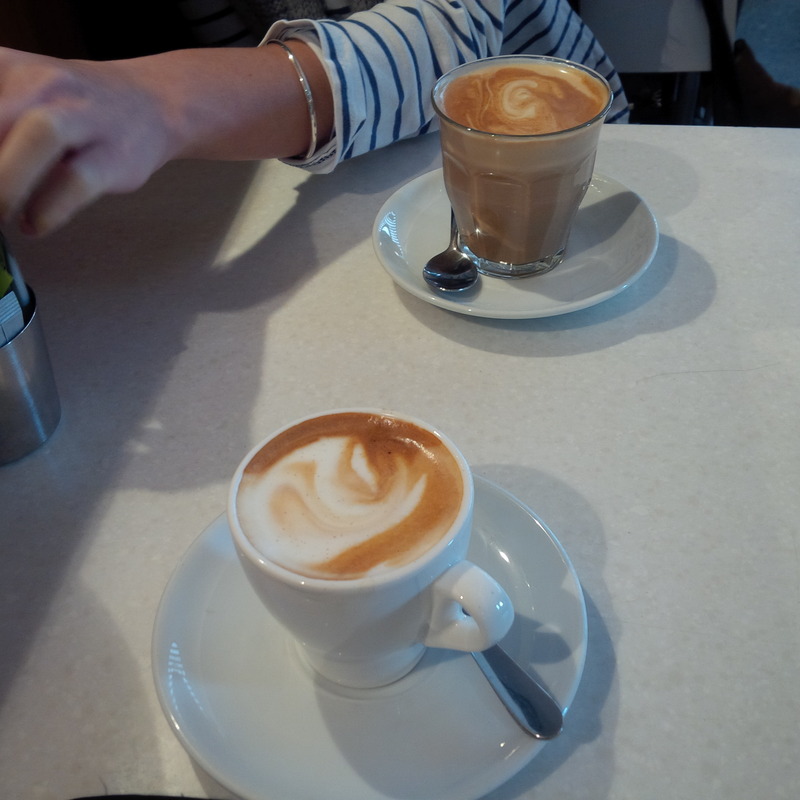 The Flat White Cafe is a small petite cafe nestled in the leafy streets of the inner eastern suburbs in Sydney. I am there to meet someone, who actually recommended the cafe to me. We have been chatting about this cafe for a while and recently got around to organising a late breakfast to catch-up for me to check it out! Is there anything (other than flying in an airplane) that beats a late breakfast? It’s the perfect way to kick-off a Saturday. I get there a little earlier and put our names down for a table… The guy is super friendly in taking names and organising tables and the turnover is quick so we are not waiting too long. Coffee is good – gives us a little kick we need for the morning. She has already warned me she is a toast and coffee kinda girl, so she goes for the Linseed Toast with Vegemite. A classic choice – simplicity is elegance. I opt for something a little more exotic – The Zaátar! Free range poached eggs, fetta, spinach, pine nuts & zaátar. It’s delicious, the richness of the yolk, combines with the tartness of the fetta and leafy soft spinach leaves, crunchy pine nuts and toasted sourdough for an array of flavours and textures. There is the right balance of the simplicity you want with a weekend breakfast, creativity and textures with this dish. It’s such an lovely dish. I love the breakfast and we have such a fun time chatting about travels (my love for plane trips…which has everyone baffled), Sydney v Melbourne and Sydney’s dining scene (I get some extra dining ideas from her). It’s such a relaxing, laid back type of morning. My lack of co-ordination skills lead me to drop my knife on the floor. I ask the waitress for a replacement and receive a bit of sigh from her – a bit uncalled for to be honest… Service always needs to be with a smile. Anyway, we finish our breakfast and finally make our way out of the cafe. We decide to take a walk through the peaceful surroundings… there’s plenty to do in Woollahra. We spot an antique store called Habitat and Style which also does wine and caviar tasting. The store is amazing… it has a courtyard, reverse sundials, ancient chemist items, sculptures, statues etc. It’s really cool and I definitely recommend you check it out (it is must visit). A caviar tasting is on the cards! I taste the caviar which has this mild smoky flavour with the salty taste of the sea. The textures of the fish eggs breaking on your mouth is such lovely experience. The Avruga Caviar is only $40 a jar and is simply beautiful. Another coffee hit is needed we stop by Luxe for a takeaway coffee (they make good coffee) and then we swing by Victor Churchill for a look at their selection of steaks (it’s an amazing shop) before stopping by a beautiful Polish Cafe nearby (just for curiosity sake to look at the pastries). It’s such a lovely and relaxing morning… I need to start doing this every week!